Navajo Native American Decorative Fork. 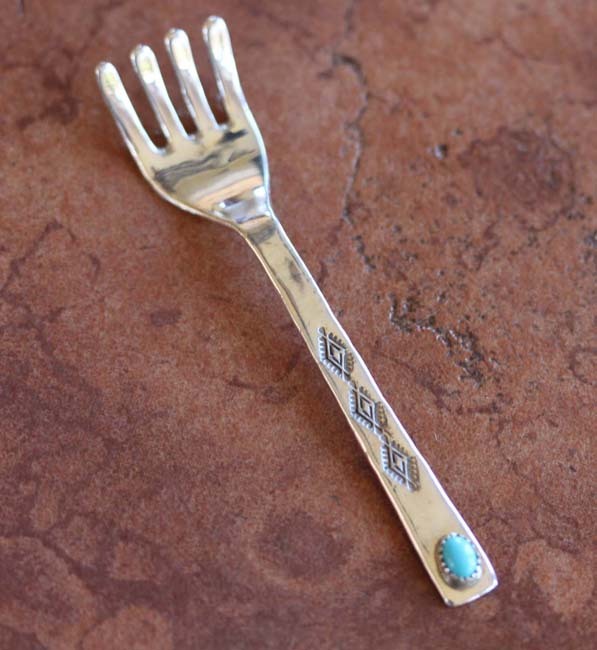 The fork is made of sterling silver and turquoise. It measures 4 1/4" in length and 7/8" in width. It is stamped sterling.